Planning for the week ahead? Let us help with these highlights of what’s on in HK this week 2 November 2018. Want more? Check out our comprehensive what’s on guide with full listings for the months ahead here. International Heavy Metal stars Sinsaenum will visit Hong Kong as a part of their Repulsion For Humanity tour. Grammy and Academy Award-winner Tan Dun leads over 100 vocalists, instrumentalists, and the Hong Kong Philharmonic Orchestra & Chorus in the stirring Buddha Passion, a stunning east-west tribute to the legends of Dunhuang. Billed as Hong Kong’s biggest community music and dance festival, this multi-cultural community concert event will feature exciting live and original performances from Hong Kong’s best and rising talent plus multiple special events. The 7th year of Hong Kong’s only Rockabilly festival, will feature 3 bands this time around: The Hydrant from Indonesia, Tennessee Cats from Japan and Lew Lewis from the UK as well as The Boogie Playboys, your local Rockabilly Band! Grammy nominated, multiplatinum selling singer Charlie Puth is coming to Hong Kong to showcase his latest album ‘Voicenotes’. Celebrated ballet stars from around the globe join forces with the powerful artists of Hong Kong Ballet in the glittering 1st Annual International Ballet of Stars. This thrilling tour-de-force of a programme will include breathtaking star turns from Swan Lake, Le Corsaire and Don Quixote as well as stunning choreography and groundbreaking rock music. The Kiss of Tosca offers intoxicating music interwoven with explosive drama driving a story of love, desire and patriotism in this 90-minute adaptation of Puccini’s explosive opera. Revisit one of the greatest romantic ballets of all time. Giselle is a passionate tale of love, betrayal and forgiveness. An array of international guest artists will dance alongside Hong Kong Ballet artists in the legendary lead roles. For the first time ever, Massenet’s sumptuous take on the Cinderella program is coming to the Met with Joyce DiDonato starring in the title role, the event will be shown on screens at the HKAPA. For the 150th anniversary of the death of Gioacchino Rossini, Artemis Danza will stage one of the most famous titles of the master from Pesaro: “The Barber of Seville”. This one of a kind event brings to the city some of the best Italian chefs in the world, along with food and wine producers, and culinary experts to celebrate, promote and educate consumers about the beauty of Italian cuisine and ingredients. 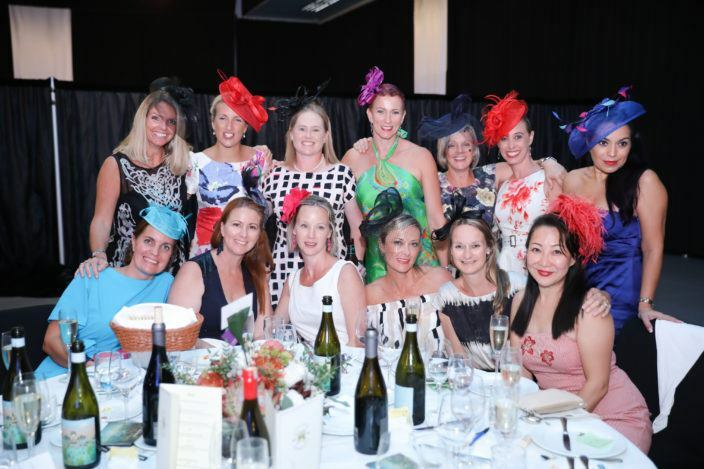 Farmers Market and Angels for Children are hosting their 3rd Melbourne Cup Luncheon in collaboration with Venture Studios. The team is looking forward to opening the doors to new Melbourne Cup fans, all in their finery. They’ve planned a jam packed event with proceeds to benefit both Sunrise and Bali Kids for future projects in 2019. The Country Club ITF Seniors Open offers the largest prize money among all senior tournaments in Hong Kong, creating a bold statement to establish the Country Club ITF Senior Open on the international tournament calendar and to attract high calibre senior players from Hong Kong, the Club itself, and from all around the world. The Hong Kong Literary Festival is back with a fresh new look. This year it will be held in Tai Kwun, the city’s brand new art and heritage site right in the heart of the city. Susie Orbach, Geoff Dyer and Imtiaz Dharker will join other writers at this year’s edition of the festival. The Heritage Vogue – Hollywood Road 2018 Street Carnival is returning again this year with a series of exhibitions, workshops and performances that provide a unique opportunity for the public to experience the rich history, heritage, cultural and artistic ambience of Hollywood Road. Held once a year, the official race inside Hong Kong Disneyland is back again in 2018! This year, Disney friends have something special planned: an all-star party along the running route! People of all ages are invited to bring their loved ones and get dressed up Disney attire at the Happiest Race on Earth! Shorter distances for young runners are available. Arts in the Park Mardi Gras is one of the city’s largest annual community art events. Victoria Park will be transformed into a spectacular outdoor art gallery, including 22-feet-tall masterpieces, display floats of giant puppets, 20 interactive stalls where visitors of all ages get to create their own masks, headdresses, rod puppet and try face painting for free. < Win Tickets to Solar Wellness Series!